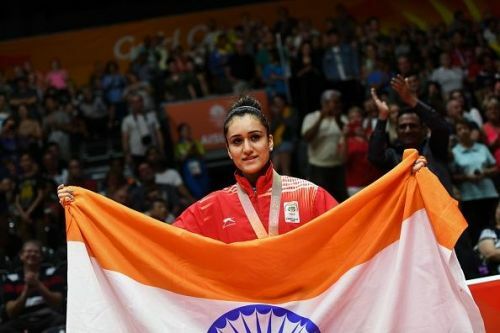 New Delhi, May 22 (PTI) Commonwealth gold medal winning table tennis star Manika Batra and weightlifter Mirabai Chanu have signed multi-year agreements with sports management firm IOS. The 22-year-old Manika had bagged medals in four events, including an unprecedented gold in the women's singles and team championship, in the recently concluded Commonwealth Games at Gold Coast. Commenting on this new association, Manika said "I am happy to be on board with IOS Sports & Entertainment. They have managed most of India's top sportspersons and I look forward to a great partnership with them." "I have been performing well in the international circuit but at the same time, I was looking for a professional sports management group that could manage my overall brand portfolio and logistics plus commercial activities in the best professional way," Mirabai said. "I am really convinced in the manner in which IOS has been working in the market with some of the top talents of our country. I am looking forward to a great partnership with IOS," Mirabai added.